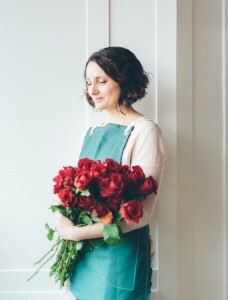 Meridith Isaacson of Seattle’s Verde & Co. This week’s guest is Meridith Isaacson of Seattle-based Verde & Co., and I know you’ll find her story inspiring. 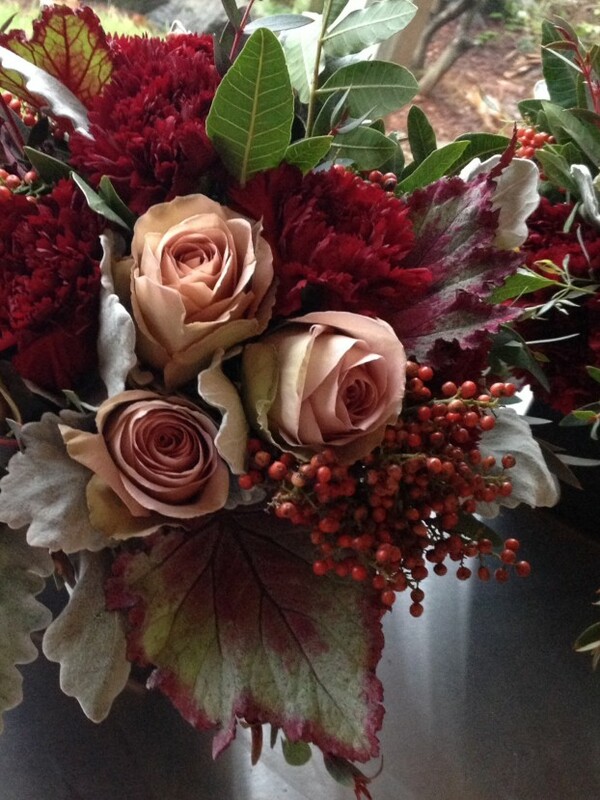 What’s particularly intriguing to me is learning that Meridith will be opening her retail flower shop very soon. In a world that has witnessed the rapid decline of brick-and-mortar floral retail, here’s a woman who is bucking the system. You’ll learn why having a retail presence is important to Meridith’s business plan and gain insights from her fascinating journey from one creative medium to another. Those personal experiences have shaped her own aesthetic and her business philosophy. Meridith and I got together last week to record this pre-Valentine’s Day interview. 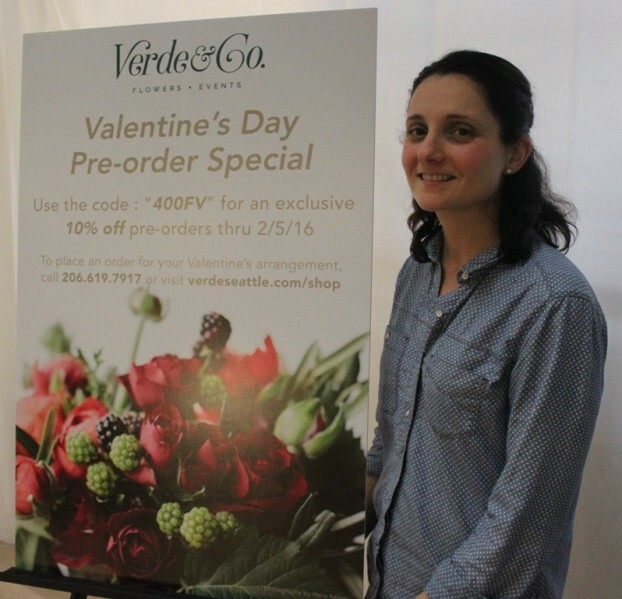 You’ll want to follow along on her crazy, whirlwind schedule as she races to open the doors of Verde & Co. less than a week before February 14th and the peak of American floral gift-giving holiday. 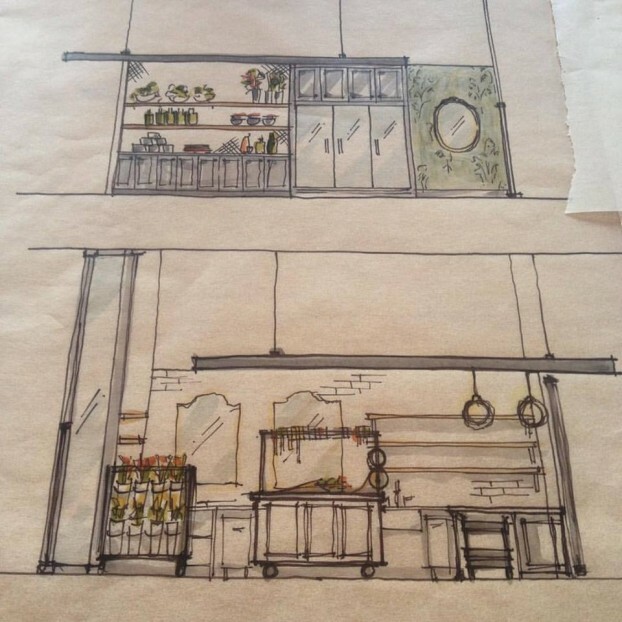 The architect’s rendering of the new Verde & Co. retail shop in Seattle. The new Verde & Co. retail space is designed by Strata Architects of Seattle. 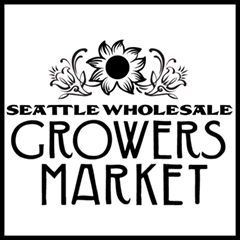 You can find the store at 400 Fairview Avenue in Seattle’s South Lake Union neighborhood. Meridith posed in front of her new shop for me last week. 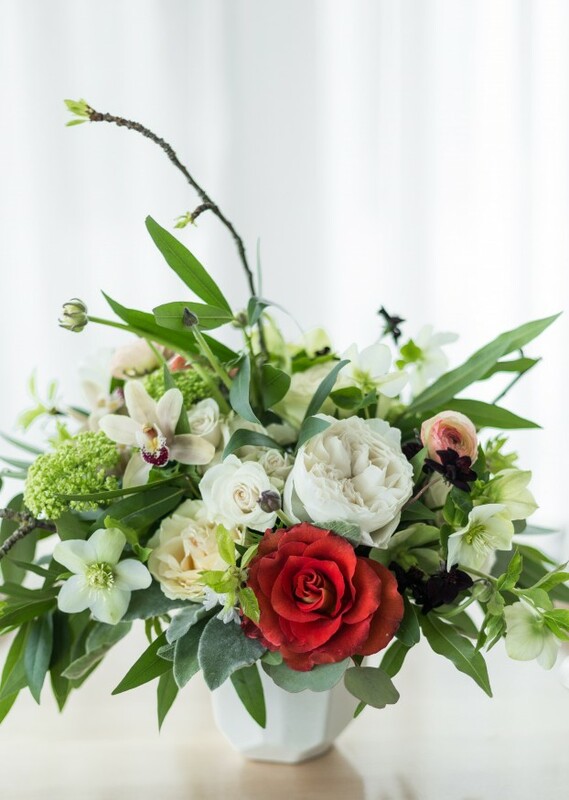 Originally from New York, Meridith moved to Seattle in 2007 and dove head first into her floral design career working for one of Seattle’s premier floral studios. 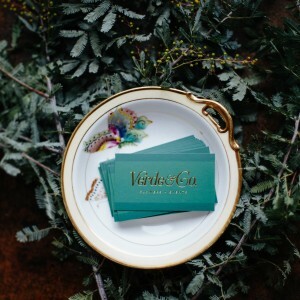 Verde & Co., is a labor of love for Meridith as she grew up in a family business that was founded in 1913 by her great-grandfather. Growing up she gravitated towards helping her Mom set the holiday dinner table, going to work with her Dad and collecting unicorns. She thinks of designing as a dance. Executing each floral with great technique, infused with a true sense of artistry, she lets the arch of the branch or direction of the bloom dictate where the floral may take her. As an avid collector of unique and vintage vessels, she is always on the hunt for ways to create a personal experience for her clients. When not in her studio, Meridith enjoys cooking, spending time with her husband and their two dogs Toby & Stella. They often find themselves cuddled up on the couch with a good movie or out and about for a long walk around town. 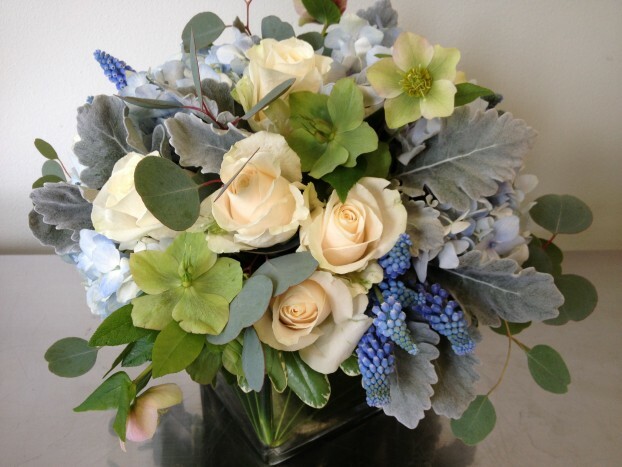 Verde & Co. in a vase~ beautiful! 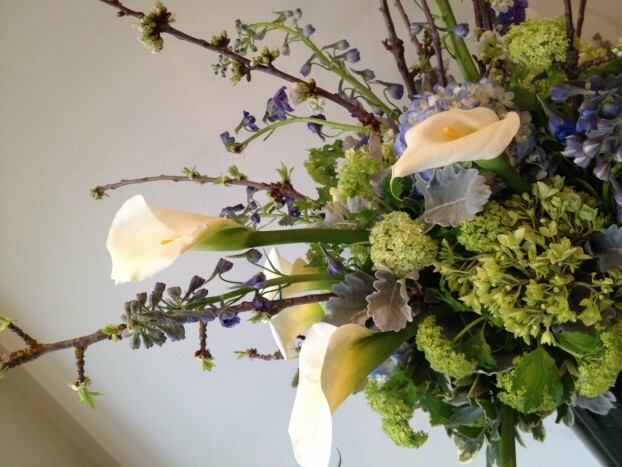 Verde & Co.’s take on calla lilies ~ lovely! And check out the innovative campaign that Verde & Co. has just launched on Seattle’s Community Sourced Capital.This is not a crowd-funding effort but instead a sustainable business financing model that uses a community of supporters to make interest-free loans to socially-minded entrepreneurs. One more stunning piece by Meridith! 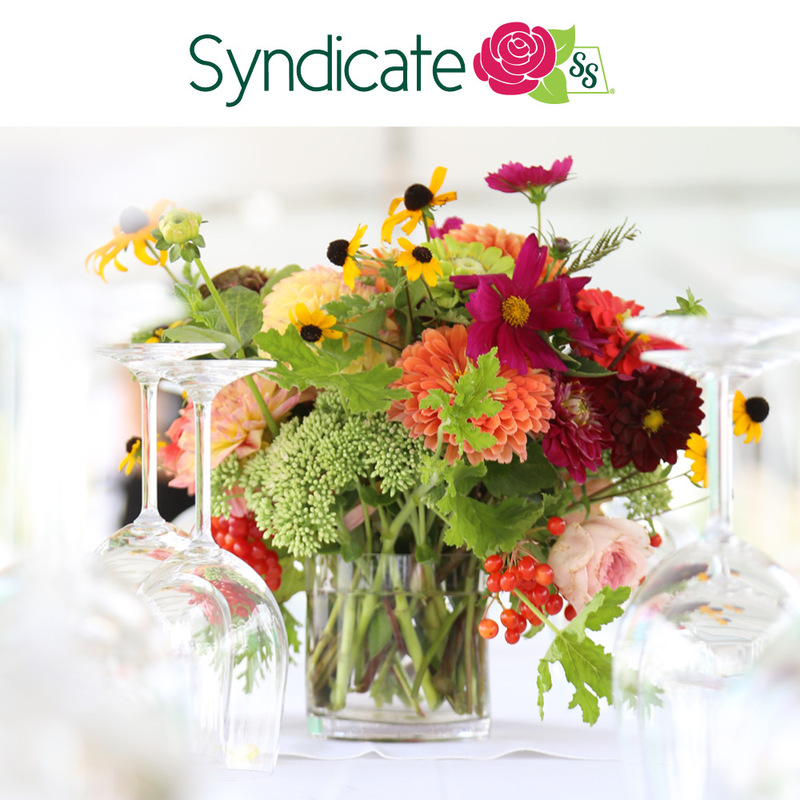 First, two weeks ago our Podcast guest was Anne Graves, marketing director of Syndicate Sales, who discussed American manufacturing and the American made collection of vases from Syndicate’s Kokomo, Indiana, factory. Syndicate graciously donated a $100 shopping spree to one listener and we have drawn a name from those of you who took the time to comment at the show notes page of Debraprinzing.com . . . the prize goes to Cara Gilmartin of Cross Street Flower Farm of Norwell, Massachusetts, located on the South Shore, south of Boston. Get out of town!! I never win anything and I was just filling in my business partner, Nikki Bartley on Syndicate’s products just yesterday. Anne, I look forward to talking to you! We are obviously HUGE fans of Slow Flowers. 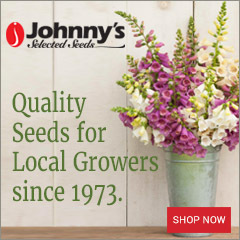 Cross Street shares the same mission and vision to be able to provide really awesome flowers for our community and educate about the importance of local agriculture. 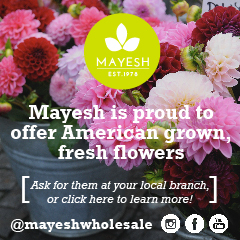 We look forward to joining the Slow Flowers family! Thank you so much for this amazing gift!! Congratulations Cara and Nikki! 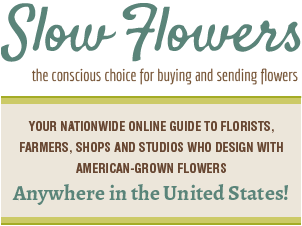 I, too, look forward to Cross Street Flower Farm joining the SlowFlowers.com community very very soon! 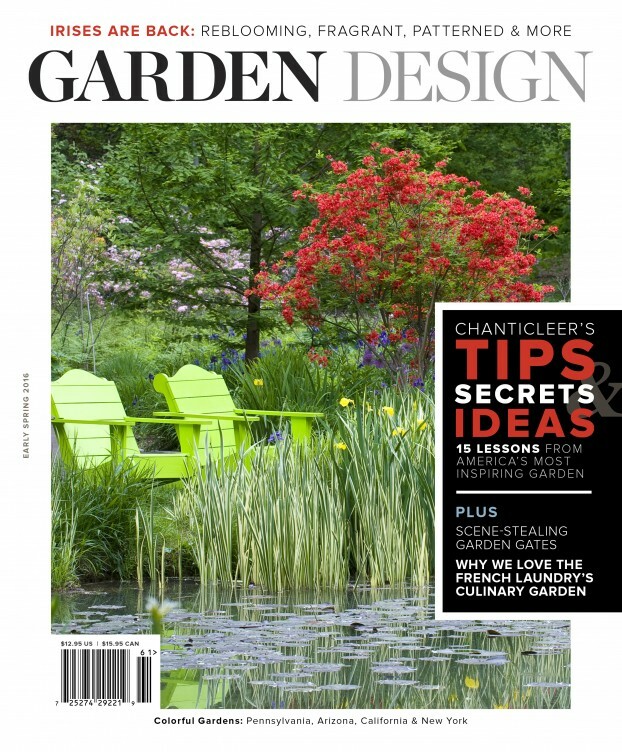 Second, for those of you who love beautiful and inspiring magazines, I want to introduce you to GARDEN DESIGN. I’ve written for Garden Design for many years, including serving as Contributing Editor in 2009-2010 when I was based in Los Angeles. Many people feared that the best magazine for horticulture, plants and landscape design was about to disappear when former owner Bonnier Corp. folded the title in 2013. Not much later, though, a white knight arrived with Jim Peterson. Jim is a green industry entrepreneur and the creator of two online membership communities very similar (and much, much larger) to Slowflowers.com. One is called Concrete Network and the other is called Landscape Network. So Jim and his team acquired the Garden Design brand and have published six gorgeous editions of Garden Design magazine since 2014. These plump bookazines are ones that you’ll have on your shelf forever. What’s notable is that Garden Design is now ad-free, with 148 pages of vivid, high-quality photography printed on excellent paper stock. 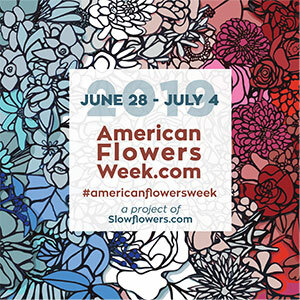 Not only am I a big supporter of Garden Design, the magazine’s staff has been super supportive of Slow Flowers and our mission. In fact, publisher Jim Peterson and I have just cemented an agreement that allows us to showcase the design work of Slow Flowers members on the magazine’s web site and its well-read newsletter four times throughout the coming year. As a special thank you to Slow Flowers members and listeners of this Podcast, Garden Design has a subscription gift for you. Follow this link to receive one free issue when you subscribe to one year of the magazine. And if you subscribe now, you’ll receive the early spring issue which contains a feature story written by me! Photographed by Claire Takas, my story is titled: “GEOMETRIC IMPACT” — it’s all about a Brandon Tyson-designed Bay Area landscape. The tagline reads: Wild yet tame, old yet new, a Mediterranean landscape uses lush, colorful, and geometric-inspired plantings to entice an active Bay Area family outdoors. And I have to add a fun note, a comment from Jim Peterson. He recently wrote: “Debra, taking a cue from you, maybe we should be the ‘slow magazine’? We’re American made, printed in the US, and offer high quality for those that appreciate and relish the tactile experience” of holding a beautiful magazine in their hands.” I couldn’t agree more! Subscribe to Garden Design here. Preview the next issue here. The Slow Flowers Podcast has been downloaded more than 81,000 times by listeners like you and we wrapped up January 2016 as the 2nd highest month of listenership in this Podcast’s 2-1/2 year history, with 4,600 downloads — a great start to the New Year. THANK YOU to each and every one of you for downloading, listening, commenting and sharing. It means so much. 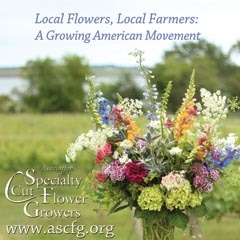 This entry was posted on Wednesday, February 3rd, 2016 at 3:52 am	and is filed under American Grown, Blog Posts, Creativity, floral design, General, Podcast Episodes, SLOW FLOWERS Podcast, Slowflowers.com the Directory of American Flowers. You can follow any responses to this entry through the RSS 2.0 feed. You can leave a response, or trackback from your own site.